Here we are, in the final week of this first term. I suspect that we all, students, parents and staff, share an equal sense of wonder and achievement at this news. Wonder that our time shared as community in educational pursuits has gone so quickly and achievement as a consequence of all that has been accomplished within such a short time – settling in for new students and leaders, getting underway in sporting events and production rehearsals and stepping through challenges such as in Zenith, Personal Project, Adventure Camp, VCE Outdoor Education and the Yarra Ranges Tech School. Our College theme, Build community; welcome all as Christ has been demonstrated in the efforts of students and their leaders this Lent to support Project Compassion where funds raised enable Caritas Australia to assist communities in need across the globe. 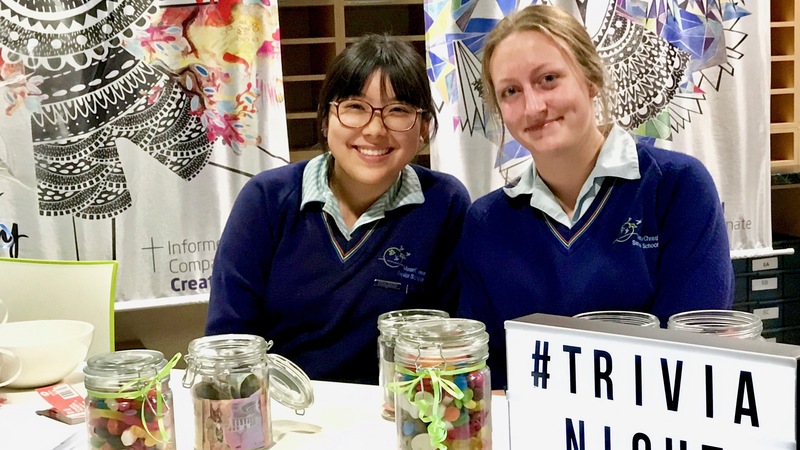 A highlight indeed was last week’s Trivia Quiz Night, organised and run by our two senior Catholic Action classes, and ably led by Social Justice Captains Olivia Koolstra and Anri Kim. It was a lively community of students, parents and staff who attended and I congratulate the students on the success of this fundraising event. She invited students to recognise not only the power of social media for good, but also for evil, saying that “it can be a place where hate and division are spread” and encouraged them to do all that they could to stamp out racism. Here in our Australian schools, we also need to ensure that our students do not allow the seeds of despair, racism and violence to grow, especially in their usage of online social media. As noted already, I remind parents to check out SchoolTV, here on our website, especially the latest release on Grief and Loss. For as much as mobile technology can be a wonderful resource to support student learning, the overuse of mobile phones is a significant concern, especially where it leads to antisocial behaviours and inappropriate sharing of private information. I wish to thank all those parents and carers who responded to our recent request for feedback about this matter as well as the many student groups who provided a range of thoughtful ideas. The College Executive team is currently reviewing our policy and I will outline any changes as soon as these are confirmed. In the meanwhile, I encourage parents and carers to be attentive throughout the holiday period, especially in regard to the supervision and monitoring around mobile phone usage. Perhaps we can all learn from our students who consistently reported that mobile phones were mostly distracting and so appreciated when they were removed in class. Wishing all members of our community a safe holiday break ahead, concluded with a joyful Easter celebration.